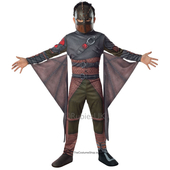 Make up one half of How to Train Your Dragon's fearless double act, Toothless and Hiccup! 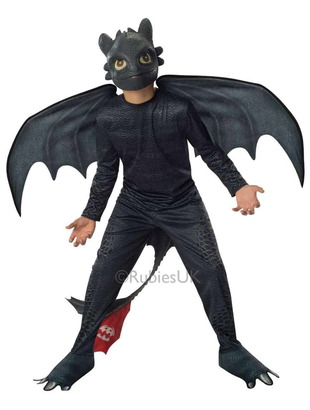 Your little Night Fury Dragon has a spectacular wingspan and tail, as well as a life-like, scaly body. 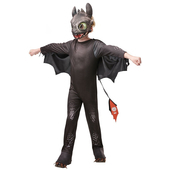 Once night falls, prepare to dive bomb! 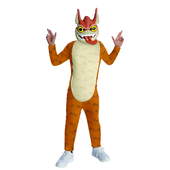 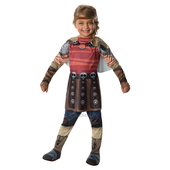 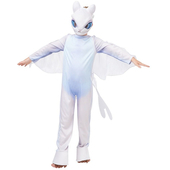 Toothless Costume includes Printed Jumpsuit with detachable wings and mask.